It’s finally here!! Victoria Findlay Wolfe’s new book is out! 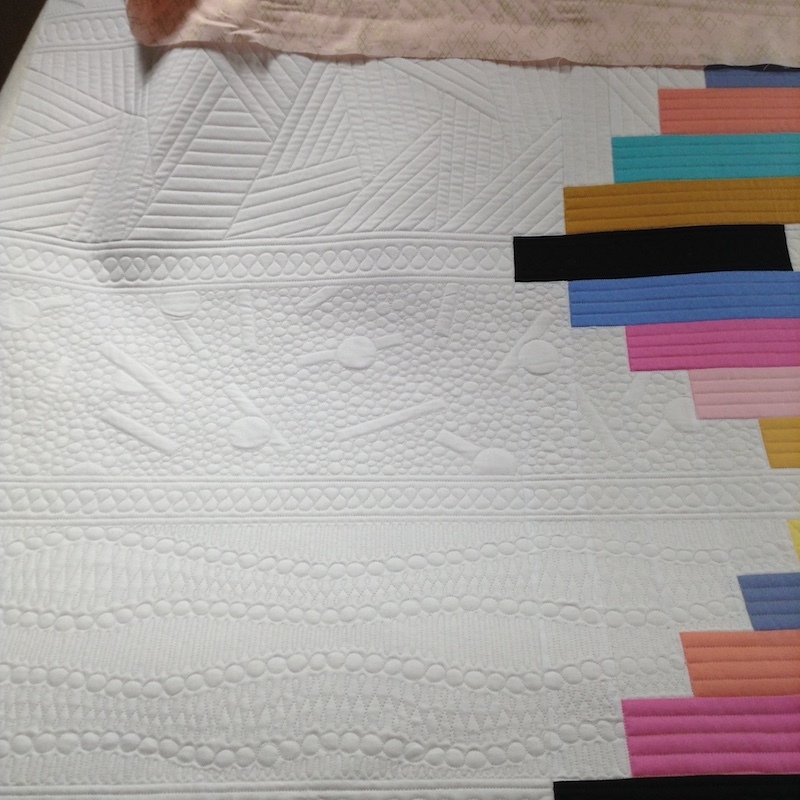 It’s called Modern Quilt Magic, and these quilts really look like they take magic to make, but she breaks it down and makes them really simple. Stunning results with simple techniques — what could be better? I think I’ve been more anxious for this one to come out than she has, since I quilted so many of the quilts for her. It seems like ages ago, and now I’m finally getting to see them in print! I certainly hope you’ll grab a copy of the book for yourself. I’ll give you a few in-progress shots of a couple of the quilts while I had them on the frame, and hope they tempt you into getting your own copy. You won’t be sorry — there’s so much great information in it! You can buy it HERE. I think this one might be my favorite — Cascade. (Sorry for the blurry photo.) And Victoria also has templates available for this one, which will only make it even easier! You can get the template HERE. And I also love this one — Negative Space, Positive Attitude. There’s a lot of quilting on this one, and such a variety. I did NOT get bored working on this one, that’s for sure! The Quilt Show has some more pictures of this one, and talks about how it won an Honorable Mention in Paducah at the AQS Show last spring — you can see their article HERE. 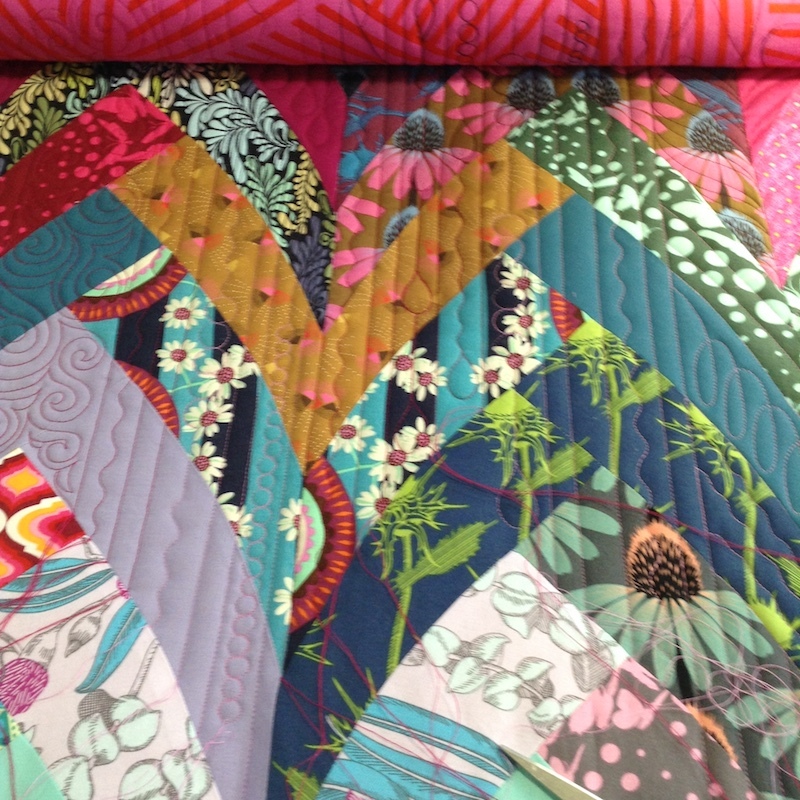 And the medallion quilt that is in the book is simply gorgeous — Soigné. I really had fun quilting this one, too. Victoria also has a 2″ x 8″ template available that works on other quilts in the book. The variety is fabulous, and the information she provides is wonderful. 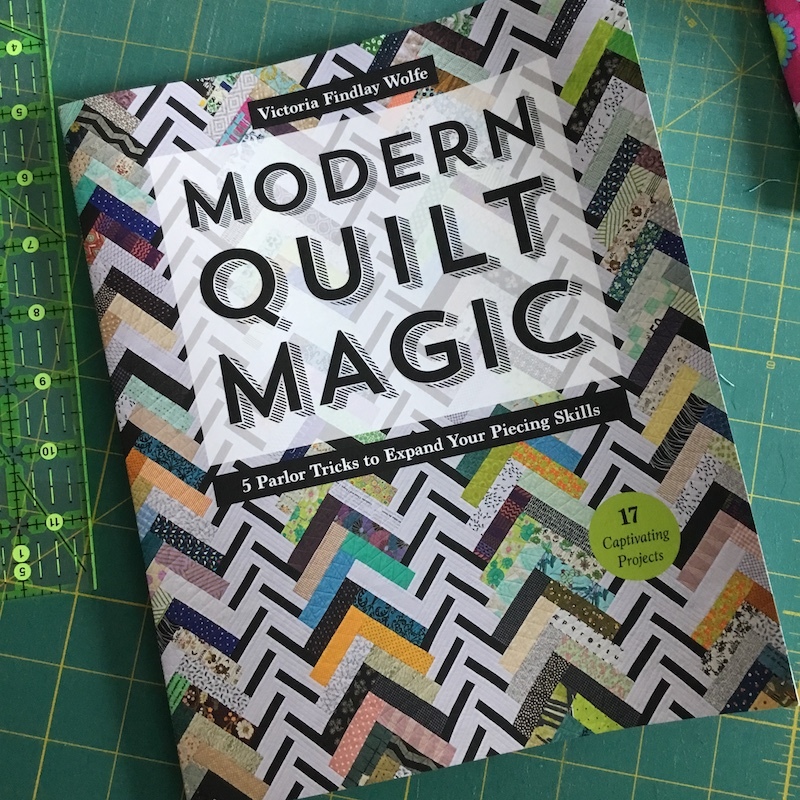 The book is a great resource, even if you never make one of the quilts! Go get a signed copy HERE! 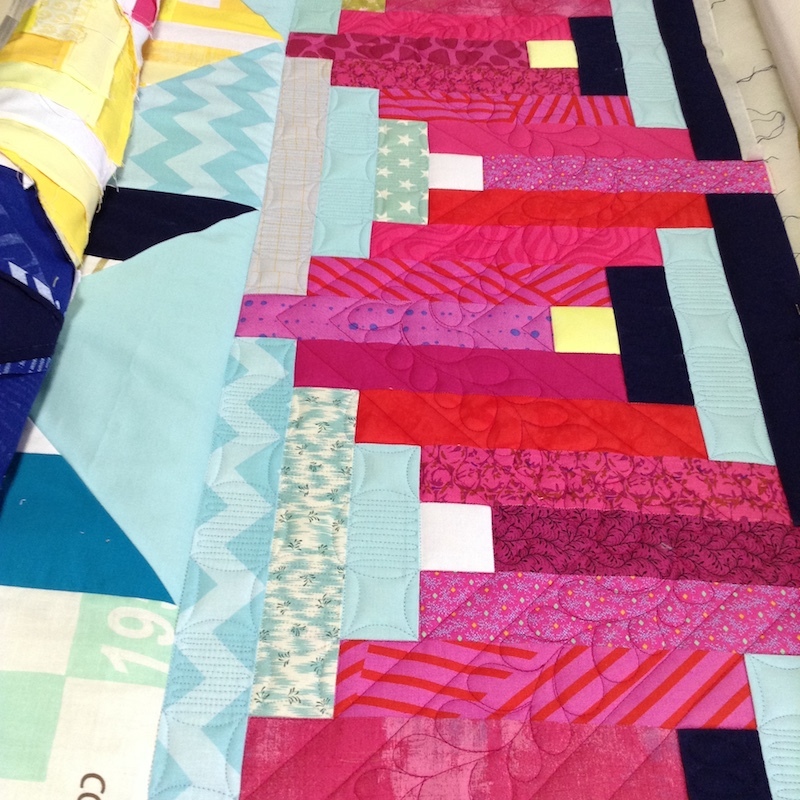 Thanks for sharing the quilts are beatifully pieced and the quilting equally as beautiful…two great artist??? You know this is tempting me! I love her books and fabrics!